Global Transformation, Sustainable Development, Social Justice, Emergent, Forward Thinking…these are just a few of the ever increasing number of new terms being tossed around today, and I’m afraid that most people don’t really understand the nature of their true meaning. For example, a couple of years ago the word ‘Change’ became the popular slogan for the presidential campaign. The struggling Bush Administration’s unpopular war in Iraq and the struggling economy dampened the spirit of America. The bank failures, the bail outs and an uncertain future sealed the fate of the upcoming election resulting in a mass convergence of change. All jumped aboard the promised ‘Change’ train. I suppose most believed that it sounded hopeful, and just what Americans were looking for in a looming crisis. As we all witnessed, change won the election. The word ‘change’ means to modify in some sense, yet there are different ‘strengths’ if you will, that give new insight into the term. In Webster’s Dictionary, change means to make different in some particular: or alter, to give a different position or course….but it also means to make radically different: TRANSFORM. While most Americans believed that ‘change’ meant equal opportunity and turning around the financial debacle of the banking institutions, I can honestly say that few understood the true nature of the word corresponding to the agenda of this current administration. Before the election, the average voter didn’t seem to question what it meant. Few seemed to wonder about the plans and the policy that would change the future landscape of America. The appropriate questions were not asked, nor given. We certainly had no understanding of just who would define these changes and set the new standard. Thus, here we are a few years later in the midst of a global transformation so powerful that it’s unlikely that anyone can stop it. Change came in like a tsunami destroying the former way of life and reconstructing a new landscape in which the world has never seen. The United Nations’ master plan for implementing a statist management system is outlined in a manual for social change titled, The Local Agenda 21 Planning Guide. In the upcoming series of articles, Two Kingdoms, Two Worldviews and The Waging War, we will take a very close look at Agenda 21, The Green Agenda, Sustainable Development and everything in between. Before we look at the agenda of world globalists, there is a portion of scripture in the first chapter of the book of Psalms that I think is important for us to look at and appropriately applied. It is important to keep our minds stayed upon the word of God, our hearts set like a flint and fortified against every wicked device of Satan. The instruction given in Psalm 1 is important, as it contrasts the opposing worldviews…the Christian Worldview, with that of the ungodly. It describes those who are born of God as being those who delight in the truth of God’s word, rather than the world’s schemes. An old Puritan by the name of Henry Law has written some excellent commentary on this particular Psalm and I have included those excerpts to help us gain a greater depth of truth. All praise be to the grace of God that in this world of widespread sin some lovely spots are seen. There are the heirs of life. Born from above, to God they live. Abhorrence of all evil is their grand distinction. The godless have their schemes, their pleas, their plots, their evil counsels. In such vile course the blessed ones never walk. They resolutely shun the hateful path. Sinners have their chosen way. How broad! how thronged! what multitudes move down the sad decline! In this the blessed ones have no part. They hate the filth. They keep their feet unsoiled. Wickedness has its topstone. Scorn and derision proceed to mock God's word, Christ's work, and all the lowly followers of the Lamb. Too many love the sneering seat, and impious jests find sympathizing smiles. Such company is counterpart of hell. The blessed man sits not in such fellowship. We here are taught that in sin there is gradation. Let us flee the first step. The rolling stone descends with quickening speed. 2. "But his delight is in the law of the Lord; and in His law he meditates day and night." The godly man has his delights. His cup is crowned with joy. His table is spread with richest pleasures. The Scriptures are his soul-refreshing feast. They gladden him with views of God as his own God; Christ as his own Savior; the Spirit as his guide and sanctifying Comforter; heaven as his home forever; and all things ordered for his well-being. The morning light invites him to this sacred page. In the day his thoughts cling closely to it. The evening's shadows and night's wakeful hours call to rejoice in this treasury of truth. 3. "And he shall be like a tree planted by the rivers of water, that brings forth his fruit in his season; his leaf also shall not wither; and whatever he does shall prosper." Behold the tree on the brook's verdant bank, whose roots drink constantly the flowing stream! The laden branches bend with plenteous fruit. Unfading freshness decks the leaves. No lovelier object adorns nature's field. It is a picture of the godly man. Deep springs of grace supply his inner life. The fruits of righteousness, which are the Spirit's work, abound. His fertility of holiness is rich, and large, and real. The Lord is truly with him; and where the Lord is, there is every good. Of Joseph it is sweetly said, "The Lord made all that he did to prosper in his hand." Of David we read, "He went on and grew great, and the Lord God of hosts was with him." 4. "The ungodly are not so; but are like the chaff which the wind drives away." The scene is changed. The ungodly widely differ. Nature shows, also, their picture. The fruitful tree gives place to chaff-light, barren, hollow, worthless-the refuse of the barn-floor. It yields no profit. It is cast out, the sport of winds. Driven away, it leaves no trace behind. Such are the godless. They minister no grace. They benefit no souls. None gain by conversation with them. Unstable, they are tossed by every changing wind. Temptations drive them headlong. Terrible is their final doom. Jesus comes, "Whose fan is in His hand, and He will throughly purge His floor, and gather His wheat into the garner; but He will burn up the chaff with unquenchable fire." 5. "Therefore the ungodly shall not stand in the Judgment, nor sinners in the congregation of the righteous." Judgment is near. The Judge stands at the door. The great white throne will soon be set. The dead shall be judged out of those things which are written in the books according to their works. They cannot flee the dread tribunal. There is no escape. No mask can hide their guilt. Their sins are all recorded. No blood blots out the stains. They plead no Savior's merit. They have no interest in the saving cross. No solid ground sustains their feet. They cannot stand. Undefended, they receive the dreadful sentence, 'Depart! you cursed ones!' Thus they are cast far from the congregation of the righteous. May we live ever with this last scene before us, and never rest until clear evidence is ours that we have happy place in "the general assembly and church of the first-born, who are written in heaven." 6. "For the Lord knows the way of the righteous; but the way of the ungodly shall perish." Amid all their trials, sorrows, pains, reproaches, let the righteous lift up rejoicing heads. The eye of God rests on their way. He called them to the narrow road. He upholds their feeble steps. He safely leads them to the glorious end. Unfailing watchfulness surrounds them. But the broad road, with its unrighteous throng, goes down assuredly to hell. Holy Spirit, give us the portion of the blessed man! May we escape the doom of the ungodly! I have chosen to do this series of articles on the United Nations proposal of Agenda 21, also known as Sustainable Development because it is quickly being adopted as the official policy of the UN, world governments and specifically the U.S. It comes under many titles and catch phrases and has taken the world in a new direction, one under the control of world governance. I believe that this agenda is disguised in such a way that will deceive many while bringing about Satan’s desired plan. The stage has been set; it will be interesting to watch as the world unites together under this delusion which will bring about dire consequences in the present world and throughout eternity. We’ve been hearing a lot about “Sustainable Development” lately. It’s the latest buzz word being used by world leaders, corporate businesses, public educators, and the news media. This popular catch phrase along with ‘Going Green’, Forward Looking, and many others is being used to catch the attention of all citizens on the planet, and is significant as it carries an agenda for our global future as well as for every living person on earth. Most of us believe that the purpose of the Green Agenda is becoming educated in the proper care and stewardship of the beautiful planet we call home. I believe it is the indoctrination of the masses with globalist ideas. Environmentalists, government leaders and other organizations have told us that we humans in general have not been good stewards, but rather are wasteful with our natural resources and have reduced biodiversity, especially those of us living in western cultures, and in particular those living in the U.S. Therefore, appropriate conservation and sustainable development strategies attempt to recognize this as being integral to any public approach. Most modern cultures have in some way or form recognized the importance if maintaining and protecting nature and its biological diversity. Of course there have been many abusers over the decades whose power, greed and politics have affected the precarious balance. Modern ‘Green’ organizations are calling for a ‘revolution’, a new understanding and new relationship between humanity and nature…who would disagree with that? Not many, unless of course you obtain a better understanding that details the goals, relationship and the future of a worldview that opposes God in every aspect. Education is the essential tool for achieving this global plan. They believe that people around the world must recognize that current economic development trends are not sustainable. The fear mongering, the guilt complex, and the catch phrases have all had an impact around the world. As usual, on the surface it all sounds perfectly sound and commendable. Who wouldn’t support such a just cause? But it is what we find under the surface that we begin to see the bigger picture. What is under the hidden surface is a Global Agenda that will unite the entire world economically, politically and spiritually. I realize that most of the world is already deceived into thinking that this is a grand idea; after all, world peace is supposedly the goal, or is it? However, in upcoming articles we will compare the contrasting worldviews, Satan’s scheme of things against the established Word of God, and we will determine who shall come up wanting. "We need to get some broad based support, to capture the public's imagination...So we have to offer up scary scenarios ,make simplified, dramatic statements and make little mention of any doubts...Each of us has to decide what the right balance is between being effective and being honest." "We are close to a time when all of humankind will envision a global agenda that encompasses a kind of Global Marshall Plan to address the causes of poverty and suffering and environmental destruction all over the earth." "Regionalism must precede globalism. We foresee a seamless system of governance from local communities, individual states, regional unions and up through to the United Nations itself." "The goal now is a socialist, redistributionist society, which is nature's proper steward and society's only hope." "Current lifestyles and consumption patterns of the affluent middle class - involving high meat intake, use of fossil fuels, appliances, air-conditioning, and suburban housing - are not sustainable." "Mankind is the most dangerous, destructive, selfish and unethical animal on the earth." "One America burdens the earth much more than twenty Bangladeshes. This is a terrible thing to say. In order to stabilize world population, we must eliminate 350,000 people per day. It is a horrible thing to say, but it's just as bad not to say it." "The greatest hope for the Earth lies in religionists and scientists uniting to awaken the world to its near fatal predicament and then leading mankind out of the bewildering maze of international crises into the future Utopia of humanist hope." "The earth is literally our mother, not only because we depend on her for nurture and shelter but even more because the human species has been shaped by her in the womb of evolution....Our salvation depends upon our ability to create a religion of nature." - Rene Dubos, board member, Planetary Citizens, A God Within: A Positive Approach to Man's Future as Part of the Natural World, (New York: Charles Scribner's Sons, 1972), 38, 41. "Little by little a planetary prayer book is thus being composed by an increasingly united humanity seeking its oneness. Once again, but this time on a universal scale, humankind is seeking no less than its reunion with 'divine,' its transcendence into higher forms of life. Hindus call our earth Brahma, or God, for they rightly see no difference between our earth and the divine. This ancient simple truth is slowly dawning again upon humanity, as we are about to enter our cosmic age and become what we were always meant to be: the planet of god." "The spiritual sense of our place in nature...can be traced to the origins of human civilization....The last vestige of organized goddess worship was eliminated by Christianity." "Christianity is our foe. If animal rights are to succeed, we must destroy the Judeo-Christian Religious tradition." "The earth is not dead matter. She is alive. Now begin to speak to the earth as you walk. You can speak out loud, or just talk to her in your mind. Send your love into her with your exhalation. Feel your heart touching upon the heart of the planet. Say to her whatever words come to you: Mother Earth, I love you. Mother Earth, I bless you. May you be healed. May all your creatures be happy. Peace to you, Mother Earth. On behalf of the human race, I ask forgiveness for having injured you. Forgive us, Mother Earth"
- US Student Textbook, "Prayer to the Earth"
These examples are only a smidge of the mindset of those orchestrating our global future, and are a clear indicator of things that are to come. 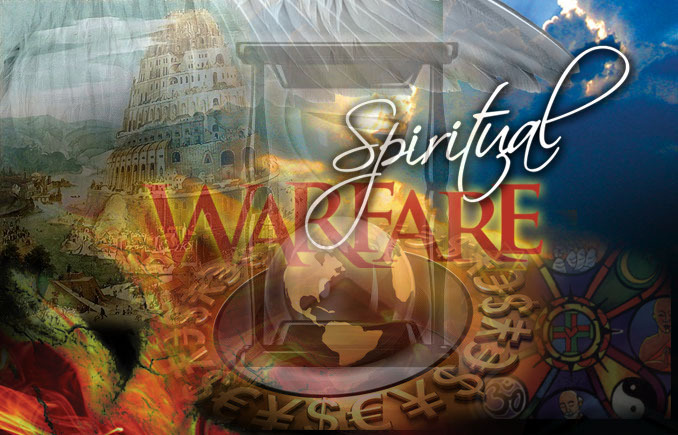 Today I would like to focus our attention on the fact that regardless of all the goings on in the world, there is a war waging, a spiritual war. 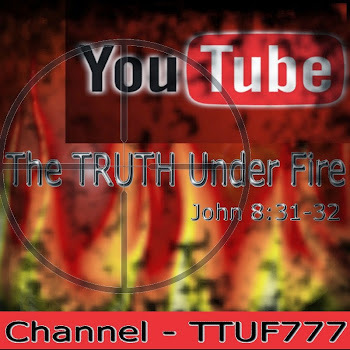 There are in fact two kingdoms that are waging in war, the Kingdom of God and Satan’s kingdom. In order to understand what is going on in our world, we must understand that God created and ordained certain institutions according to His purpose and His will, so that society would be able to exist in peace, and that the Church would be able to further the Gospel of Jesus Christ to a lost and dying world. I read some articles written by Brannon Howse that articulate the difference between the established institutions set up by God and the institutions set up by man. If you haven’t read the book ‘Grave Influence’, this is a must read for every Christian household. According to the scriptures, God has set up the following institutions. I pray that you will take the time to read the biblical texts and familiarize yourself with them in order to differentiate God’s plan from the world. There is of course another plan, one that mimics what God has established, and controlled by Satan himself. He is setting up his own kingdom that will deceive the multitudes and attempt to destroy Christianity. Of course we know that he will ultimately lose in the end, but the question remains of how many lives will be destroyed with him. How many will fall prey to the deception and lies of a worldview that is opposed to God? 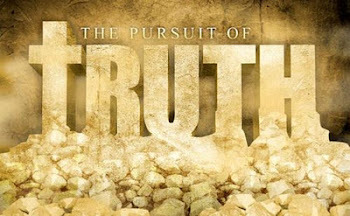 Time will tell and as true followers of Jesus Christ, we must continue to fight the good fight of faith, exposing Satan’s lies but fulfilling the great commission of proclaiming the Gospel of Jesus Christ to the world. Today, anti-biblical worldviews have infected every area of life socially, economically, historically, lawfully, scientifically, within the family, in our educational systems and now within the Church walls. The human purpose is global control, Satan’s purpose is to enthrone himself and wage war with God. I know that some of you are wondering how I can make such a claim; I assure you there is plenty of evidence…not conspiracy. We need to open our eyes and seek truth. That is why I am presenting a series of articles on the subject. I believe that when we read what has already been documented in the news and by the various institutions organizing and collectively working together under the U.N.’s direction, we will gain a better understanding of what is really going on. I also believe that when we study the scriptures while observing the transformation of the world, we will begin to recognize that institutions have been established which are contrary to God’s plan, and in knowing this, we will not fall prey to the deception nor turn away from what is biblical truth. In upcoming articles, I will be documenting and quoting those who are the very instruments bringing about this New Global Order, and what our Christian response should be.